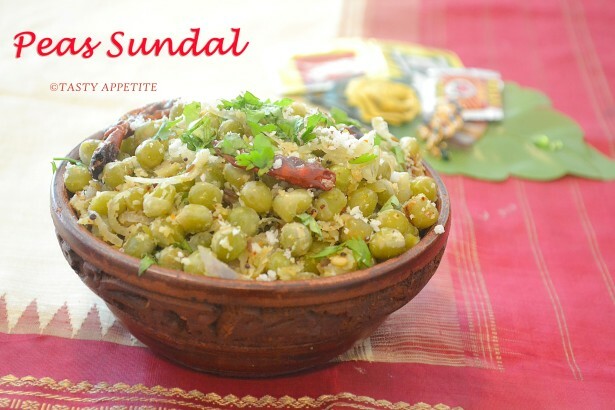 Hy everyone, here is yet another simple yet healthy sundal recipe. 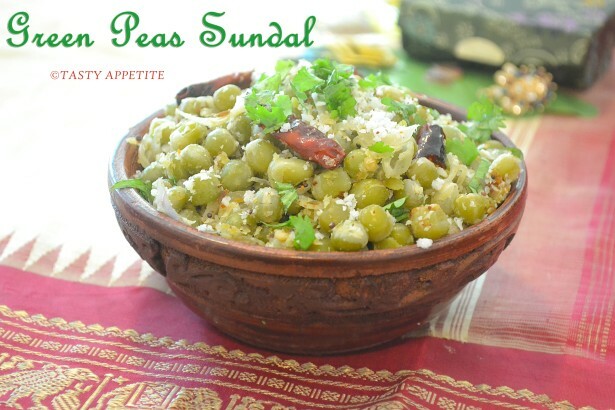 Green Peas Sundal is one of the sundals I like the most to prepare for Navrathri. 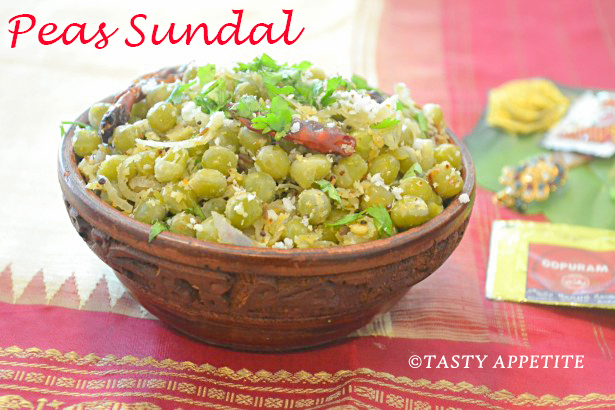 This popular sundal recipe is very easy to prepare and tastes flavorful and yumm. 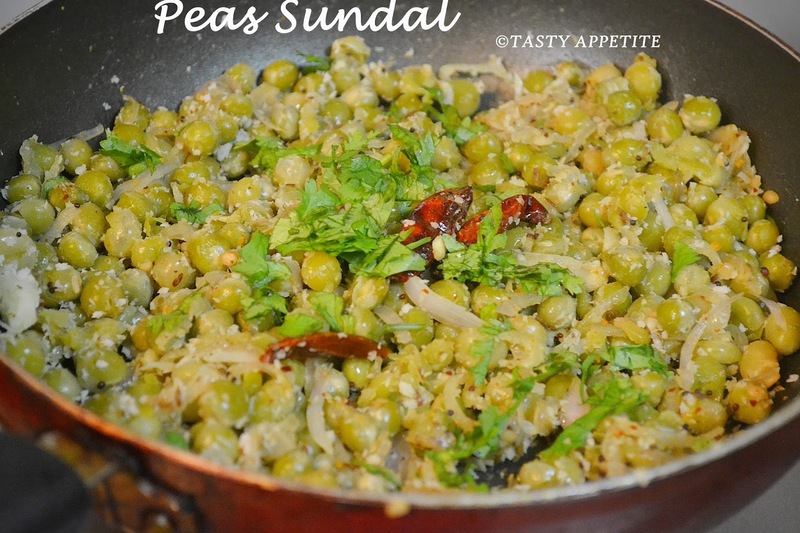 In this recipe the dried green peas are soaked overnight and cooked with spices. In temples, they prepare this for prasadam during the festive days. Check out this most popular Pattani sundal recipe here..! 1. 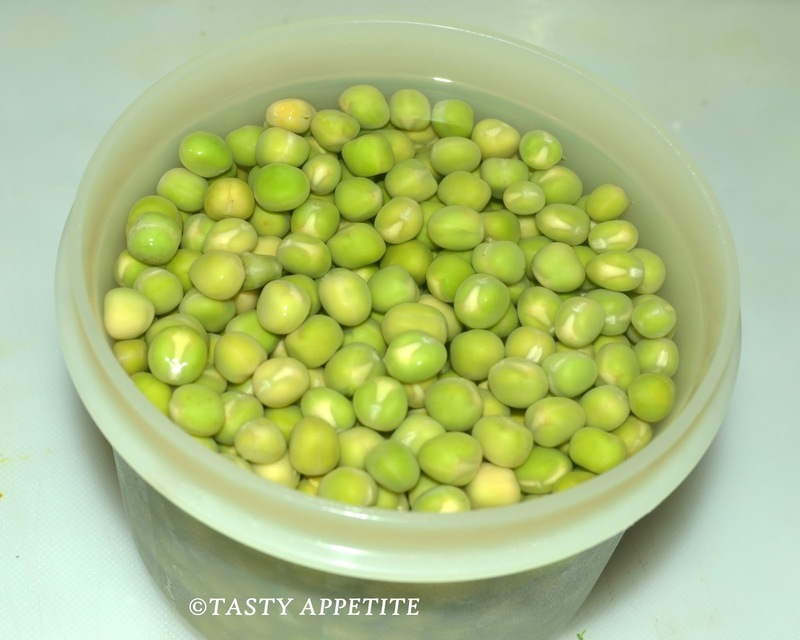 Wash and soak the peas in water for 5 to 6 hours. 2. Pressure cook with enough water for 3 to 4 whistles. 3. Take care the peas should be cooked soft, but not mushy. 5. Add mustard, cumin seeds and wait to crackle. 6. Add the other ingredients urad dal, hing, red chilly , curry leaves, onion and stir well. 7. Now add the cooked peas. 9. Add salt, red chilly flakes and mix. 10. Sprinkle freshly grated coconut. 12. Top up with fresh coriander leaves. 14. 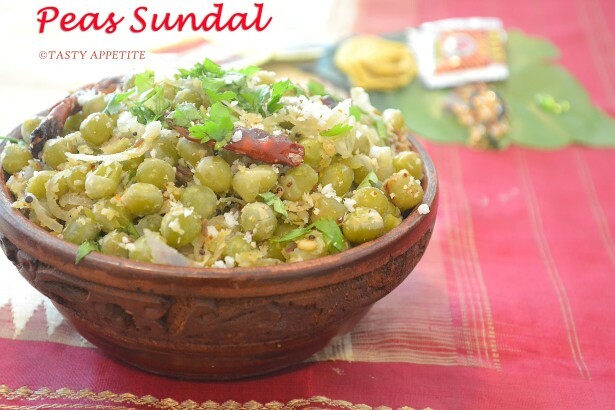 Yummiliciuos and flavorful green peas sundal is ready. 15. It makes an ideal neivedyam recipe for navratri. 16. Also it serves excellent as a evening tea time snack for both kids and adults. You got me when you added the coconut.